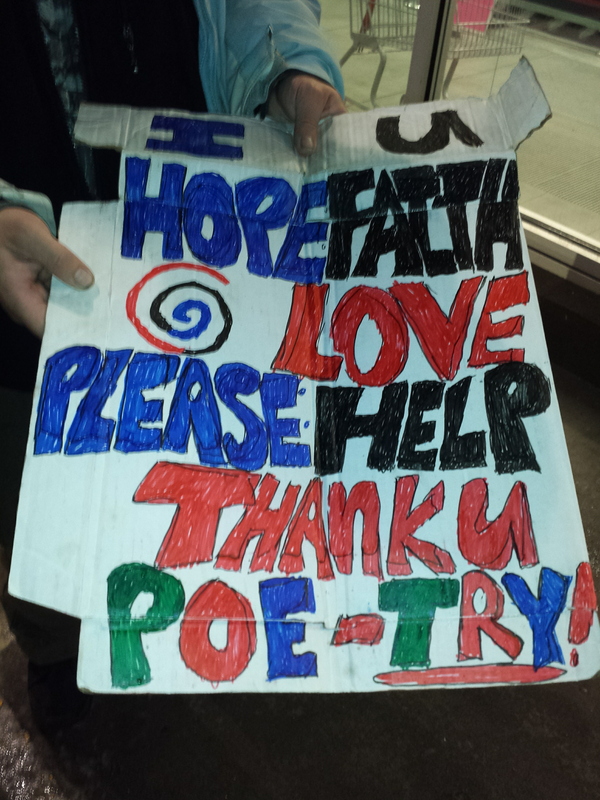 There was a man reciting his poetry in front of the drug store last week. I stood while the rain misted, my eyes welling as he went on. His words were filled with wounds and glory. My heart turned over, reignited. This tiny gift, his act of grace to me. I held out my hand, we locked eyes. “Thank you. Thank you for sharing your gift”. He stuttered, stammered, looked down at his worn out shoes. No, he said, Thank you for listening. I might not have stopped on another day but God has talked to me about thinking small. Talked to me about watching for Him in unexpected places, listening for His voice, not rushing on. I am a woman of Big Vision, Big Plans, Big Emotions. I am always, perpetually, ready for the next Big Thing. I can walk fast, multitask, organize the multitudes. You got a dream? Lets get it done. All I keep hearing these days though, is THINK SMALL. All he wants me to care about is spreading Good Seed. And finding tiny Pearls in forsaken fields. He wants me casting any net I can find. Working a teaspoon of yeast into the batch. We have always begged God for the straightforward answer, what is the Kingdom like? What should we do? What is your plan for my life? God just says, Go Love Everybody. I don’t really care how. I want you to watch out for my prompts and leadings in each of your moments. Isn’t it always, by the skin of our teeth, the head of a pin, the edge of a knife, the split second or just by a nose? Aren’t the most life altering things a single cell? We dare not despise the days of small beginnings. Big things only serve as spaces for the small to make manifest, to provide the conditions for the seed to sprout. Give us this day, our daily bread. Tiny rounds of yeast grown into something that sustains us. Feeds the whole world. The Kingdom Come.